This game day you can keep your healthy goals and celebrate with some healthy bites. 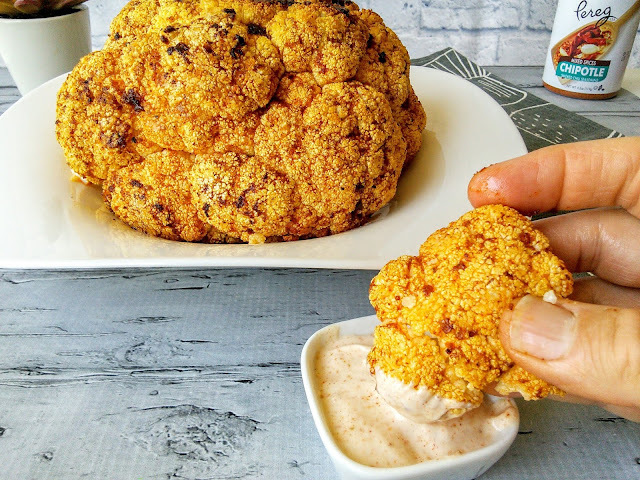 One of my favorite healthy snacks is chipotle Roasted Cauliflower With Smoked Chili Cream. These flavorful bites of cauliflower taste so incredible when dipped into a creamy spicy sauce. Your party guests will love them. Your guests may also appreciate that you are offering healthy foods so they won't feel guilty. Check out a great article that I discovered that offers many more suggestions for healthy game day food. If you're like most Americans, you celebrate one of the biggest sporting events in the country (okay, the biggest), but planting yourself in front of the television with ice-cold beverages and hearty yet unhealthy snacks. While this is perfectly normal and provides for nothing but a good time, it doesn't help you keep your New Year's resolution to eat healthier and get in shape. You may be thinking right about now that Super Bowl Sunday is not about health foods and low-carb drinks. It's about fierce competition, celebrating football's best teams, laughter, and good times. Why ruin a good time worrying about body image? Well, for one, because healthy eating is not just about body image. 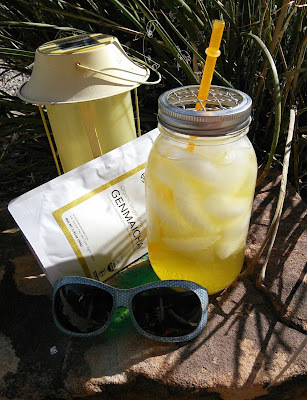 It's about obtaining overall good health and increasing your odds of living a long, healthy, and fulfilling lifestyle. That said, eating right doesn't mean eating bland, flavorless foods. It is possible to have a good time without fried foods, surgery beverages, and all-around unhealthy dishes. This post will show you how. Though each of these recipes calls for alcohol, you can always make a virgin version sans alcohol. In fact, doing so would contribute to your overall weight goals even more, as alcohol is high in carbs and fatty sugars. In addition to providing recipes for healthy beverages, EatingWell also provides plenty of appetizing recipes for footballs' favorite course: the appetizers. Fried foods are, of course, a stable of game day. EatingWell shows you don't necessarily have to give up the oils and breading to achieve delectable yet good-for-you eats. Siracha Buffalo Cauliflower bites receive a four and a half-star rating, which is outstanding considering cauliflower is one of those veggies with which most people have a hard time getting on board. As a stand-in for chicken, it provides fewer calories and more fiber and the same great taste. Unless you were to spill the beans regarding your veggie alternative, there's a good chance your guests will never know you swapped poultry for a veggie. Kettle and pita chips may be healthy alternatives to your favorite fried potatoes, but if you're being honest, the taste doesn't live up to that of the originals'. You can combat the blandness with a flavorful dip. Ultimate Nutrition's dip takes the cake for the best dip of 2019, as it's creamy, hearty, spicy and full of healthy ingredients. The Buffalo Chicken Dip Recipe is made of low-fat cottage cheese, fat-free cream cheese, skim mozzarella, buffalo sauce and crumbled blue cheese. Each of these ingredients provides for the rich, creamy flavor. Throw in a pound of chicken breast, cooked and shredded, for sustenance and serve with your favorite low-cal corn chips. Many people don't serve actual meals on Super Bowl Sunday, but then again, if you're here looking for healthy dishes, you're not most people. Surprise your guests with a wholesome meal to share at halftime or that they can serve themselves throughout the game. Putting together a tasty yet nutritious main course doesn't have to involve all the meal prep of a Thanksgiving dinner. In fact, if you keep the recipe simple enough, you can make a meal for 20 with as little fuss as possible. As you can see, there are dozens of flavorful options for treating your guests to tasty yet nutritious foods. Give one or more of the above a try to impress your guests and satisfy their taste buds.